Learn more about how Razorleaf bridges the technology gap between PLM technologies and business problems. Learn more about Razorleaf’s integration platform that facilitates synchronized, real time data exchange. Learn more about Clover’s integration connection points with SOLIDWORKS EPDM. 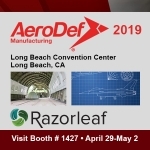 Razorleaf specializes in optimizing product innovation, manufacturing processing, and after-sales support by exploiting the benefits of the digital thread in a Model Based Enterprise (MBE). 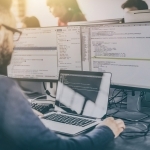 Our Product Lifecycle Management (PLM) transformation services in business analysis, implementation methods, and the application of enterprise technologies yield results-driven business value.